It was one of the big horror hits of 2017, using a cast of kids to tell a decidedly adult story about facing down terrors both extra-worldly and closer to home. 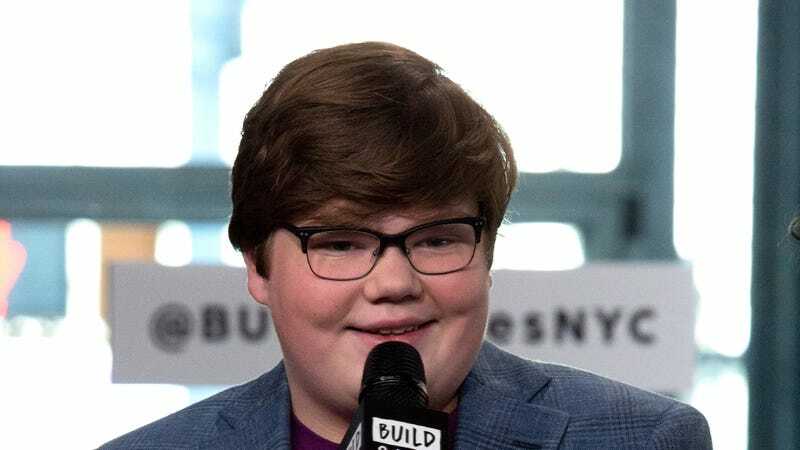 Now, one of its young stars is moving on to a slightly milder spine-tingling tale of cosmic fear, with Deadline reporting that Lil’ Ben Hanscom, actor Jeremy Ray Taylor, has signed on to star in Goosebumps 2. We have to assume that this has to be kind of underwhelming for Taylor, given that he’s going from the Deadlights to Welcome To Dead House. The sequel—based on the works of R.L. Stine, played by Jack Black in the 2015 original—has been in development for a few years now, with Black still supposedly on board to reprise his multiple roles. And hey, we’re not saying Goosebumps 2 is going to be terrible or anything—the first one was a perfectly serviceable little kids film with a healthy dose of nostalgia for fans of Stine’s books—but we’re just not sure that Slappy The Dummy can match up to Pennywise The Dancing Clown when it comes to skin-crawling horror. Meanwhile, Taylor wasn’t the only cast member added to the film today; Ben O’Brien, Caleel Harris, and Madison Iseman—who played Black’s real-world counterpart in another kids’ lit sequel, Jumanji: Welcome To The Jungle—have also been set to star. Reader beware, you've…actually probably got this. No worries.